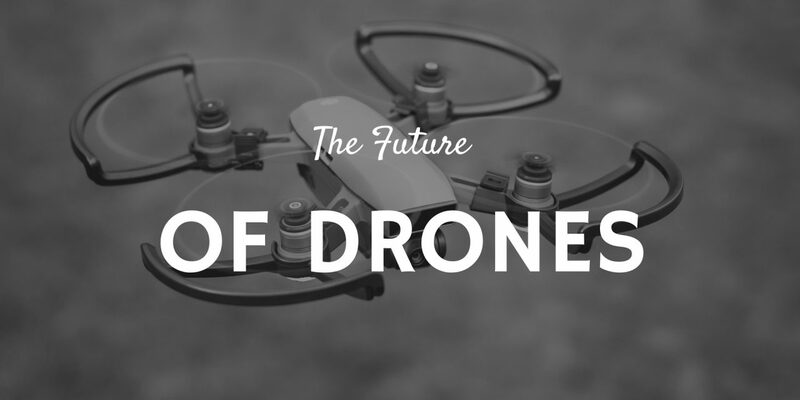 What does the future hold for drones? 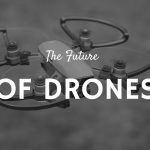 With drone technology advancing at a rapid pace and AI being utilised more and more,the future of drones will be full of huge opportunities for economies around the world.The drone industry has grown exponentially in the last few years,not only are they used for recreational purposes but drones are having a significant impact on the way many businesses’s now operate. 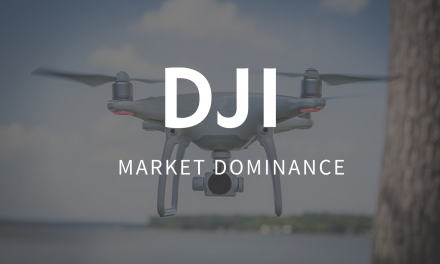 According to Goldman Sachs, the drone industry will be worth $100BN by 2020,although 70% of that will be military related,however,the commercial sector account for $13BN while consumer drones will be worth $17BN. These past few years have seen drones being used in humanitarian disaster areas,deliver medical aid to remote regions, survey construction sites and even being used to analyse the weather. Below,I have listed the 5 areas where I believe drones will have the biggest impact in the near future. One area that connects them all is the application of AI (Artificial intelligence),AI will play a huge role in the future of technology and drones will be one area where AI will have a significant impact. The next frontier in drone flight will be passenger carrying drones. Anyone who gets excited about air flight will be counting the days when drone taxis become the norm. Currently, there are tests taking place in Dubai,a country that has huge aspirations of becoming a smart city and providing a drone taxi service is one of the ways they hope to make that happen. Volocopter is the company carrying out these test flights ,they are a German company so it can be expected to be engineered to the highest standard. The Volocopter 2x drone is able to carry 2 passengers and has 18 propellers that help it fly. Made from carbon fibre composites the drone is built to withstand all types of weather and has multiple redundancy features for all critical components. There are also emergency parachutes as a use of last resort should the pilot lose control of the drone. Another company that recently started carrying out test flights is Ehang. The Ehang 184 was unveiled to the world in 2016 at the international consumer electronics show (CES) in Las Vegas. Mysteriously however, there was little news or updates on its progress for nearly two years. That is until February of this year when they announced that they had started test flights in China. Uber technologies are in the development stages of producing their own drone taxi.Uber,who are known more for their peer to peer ride sharing service,recently unveiled a prototype design for their drone taxi. One advantage they have over their competitors is having NASA as a partner to this project,they expect to have a fully operational fleet of drone taxis by 2023. Artificial Intelligence is the future and the future is here,from wearable technology to self-driving cars,AI is already having a positive impact in many areas of human life. Many of us use AI without realising we do,ever searched for anything on Google? You made use of their machine learning algorithm called Rank Brain. Speaking of Google,watch the fascinating video below and see just how far A.I has come, its both amazing and disconcerting how realistic the AI assistant sounds. A slightly smaller company that is also making a name for itself in drone AI technology is a California based start-up named Skycatch. 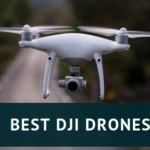 They specialise in providing machine learning solutions for drone mapping which has seen them partner up with some major construction companies as well as some very well-known tech companies like Apple and Facebook. The AI technology being developed by Skycatch will lead to faster data processing and real time data analysis which will mean identifying and solving problems much more efficiently. Everything that I have mentioned about AI and drones relates to the industrial sector,but what about AI in consumer drones? Well,for those of you who are fortunate enough to own a DJI drone,you have already played around with some low-level AI technology with DJI’s autonomous flight modes. For example,the DJI Phantom 4 Pro comes with several intelligent flight modes that will allow people to fly the drone without a controller. It also has one of the most advanced obstacle detection and avoidance system in any consumer drone. These are all examples of low-level AI technology being utilised in consumer drones. 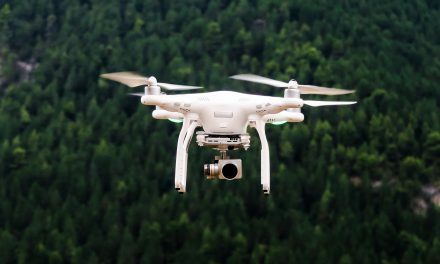 Drones have been increasingly used in various areas to help in search and rescue operations as well as in other areas of humanitarian relief effort. From helping a lost couple in the mountains of Colorado to finding a missing 11 year old girl through thermal imaging,the stories of drones helping in search and rescue missions are numerous.DJI have released a couple of reports highlighting every incident where drones have helped in rescue missions over past few years. There is another area where drones are making a positive impact on human lives and that is through delivering medicine in remote areas of Africa. Zipline,the company that is carrying out these drone operations,is currently operating in Rwanda and Tanzania with plans to expand into other countries including the United States. 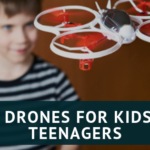 The drones do not look like your typical multicopter,in fact, they appear similar to a small agricultural aircraft,except they are unmanned. They can travel under any weather conditions,have a delivery radius of 80km and a payload capacity of nearly 2kg. Zipline have special distribution centres where the drones and medical supplies are located.They try and deliver within 30 minutes of a medical supply request and are making a huge difference in some of the most rural parts of Rwanda and Tanzania. 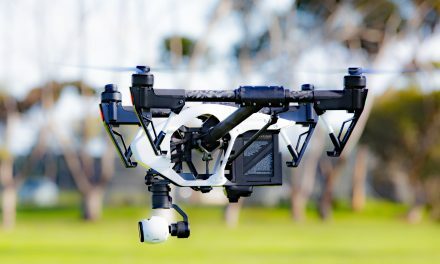 I read a fascinating academic article on the potential use of drones being used to deliver automated external defibrillators (AED) to people who have out of hospital cardiac arrests.Biomedcentral,a for-profit scientific journal, released a research paper on the practical viability of using drones to deliver AEDs. The paper concluded the drones could increase the likelihood that a person survives a OHCA attack because they could be dispatched and arrive at the destination much faster than normal emergency services. In rural areas drones carrying AEDs performed even better,the paper concluded that though there are some concerns,drones carrying AEDs can be safe and help in OHCA. Delivering consumer goods by drones has been talked about for some time now,the online retail giant Amazon,first revealed plans about a potential drone delivery service in 2013. The service would, later on, be named Prime Air and Amazon made its first drone delivery to a customer in Cambridge,England. This may seem like science fiction but having your latest smartphone delivered to you by a smart drone will be a reality very soon. Amazon has some competition in this area and one of them is search Giant Google. Google,just like Amazon have aggressively expanded into other areas of business this includes producing smartphones,smart home devices and commercial drones. Project Wing,the name behind Google’s drone project,was dreamt up in their famous lab,Google X (now just called X). The project was revealed to the world in 2014 and Google had already made a test delivery in rural Australia where it had delivered medical supplies and food to a farm in Queensland. Currently, they are trialling test deliveries in partnership with a couple Australian companies,Guzman y Gomez, a Mexican themed restaurant chain and Chemist Warehouse,a pharmacy chain. No drone deliveries are yet running in the US but that will soon change with the recent announcement by the FAA and DOT that will allow a selected range of companies to test drone deliveries in certain states. Among the companies selected for this project are Apple,Microsoft and Google but surprisingly Amazon and DJI did not make the cut. In Shangai,the online food delivery service Eleme have been given the green light to use drones for food delivery in the Jinshan Industrial park. The service is expected to deliver food within 20 minutes of the order. According to Eleme,using drones for delivery will reduce operating costs and increase the income of the delivery staff. Eleme is in good position to dominate this area, in September 2017 they did trial runs with their own fleet of drones and recently they were bought by the Alibaba group for $9.5 billion. 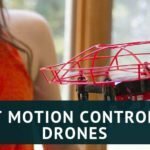 I really don’t know if drone racing has a big future, I hope it does and all the signs point that it is going mainstream. For a sports fanatic like me, that will be a fantastic development. Aided by advancements in drone technology,we can now watch in awe as people fly their drones at speeds of up 120mph with the aid of HD cameras and FPV goggles. Although there are quite a few professional leagues,the most widely known is the drone racing league (DRL).Founded in 2015 by Harvard graduate Nicholas Horbaczewski,the DRL has gained a massive following and even has few corporate sponsors including Disney, Fox Sports,ESPN and Allianz. Last year the winner walked away with a $100,00 contract to race in the following season and this year a qualifier won a $75,000 contract. There seems to be no shortage of money with prize money like that and with DRL closing a successful series b funding of $20 million,it looks for the moment that this sport will continue to grow. There are other leagues like the Model Aeronautical Association of Australia (MAAA), FPV Canada,MultiGP and a host of other leagues and organisations,however,only the DRL has managed to source major outside funding. Still, for the moment it looks like drones will play a big role in the future of sports entertainment. Well,that is my thoughts on the future of drones, I believe the biggest impact will come from the merging of drones and AI. Over to you,anything you believe that is drone-related that will have a big impact on our World? Leave me your comments.